3 Players Tottenham Hotspur Should Sign To Replace Star Playermaker Wanted By PSG! Tottenham Hotspur were once again one of the most consistent teams in the English top flight last season but that did not help Mauricio Pochettino win anything in his stint at London. 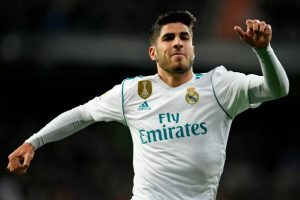 The Argentine manager will be desperate to improve on his squad, to compete with the best next season, but he will also have to keep star players at the club, from being lured away elsewhere. With Eriksen joining the club, German ace Draxler is not expected to be a first-team star anymore and could be up for grabs in the transfer market and Tottenham Hotspur should definitely look at him as a possible replacement for Eriksen. A gifted footballer, with loads of experience in Europe, Draxler can walk into most top teams in Europe and will be a huge coup for Spurs. He might take time to settle into the squad but is definitely worth the risk. 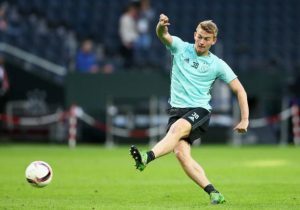 The German midfielder will be a free agent come the end of the month and has been a transfer target for Spurs for more than a year now. He is still 22 and has shown great promise in his time at Schalke. He is now ready to take the next step and might fit into Pochettino’s recruitment model pretty well. He has the potential to be a superstar and though will take time to replace Eriksen, is a decent option for Spurs this summer. The 22-year old midfielder may not be a like-to-like replacement for Eriksen, but he is a more than capable addition to the squad at Spurs. At a tender age, he is already the captain of his club side and has 8 appearances for the Denmark U21 side. He was in fine form last season, picking up 12 goals and 10 assists in all competitions and has already been on Spurs’ radar. Surely, he is one player Pochettino should look to sign if they lose Eriksen. Manchester United Superstar Refuses To Rule Out Real Madrid Switch: What Next In This Transfer Saga? Wolves Eyeing Up A Deal For Leeds United Defensive Star: Why The Deal Doesn’t Make Any Sense! Real Madrid Interested In This Tottenham Hotspur Playmaker: Worrying Signs For Pochettino? 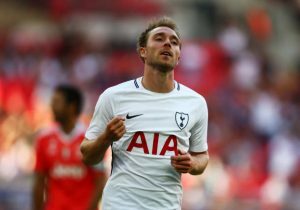 Tottenham Hotspur Identify This Real Madrid Ace As Eriksen Replacement: Good Move For Pochettino?